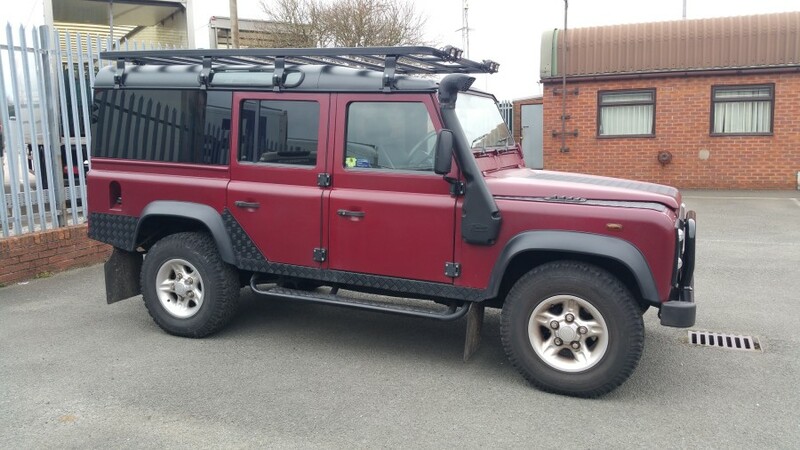 Defender 110 Red or dead! This Defender 110 arrived in a nice shade of teal with silver accessories. 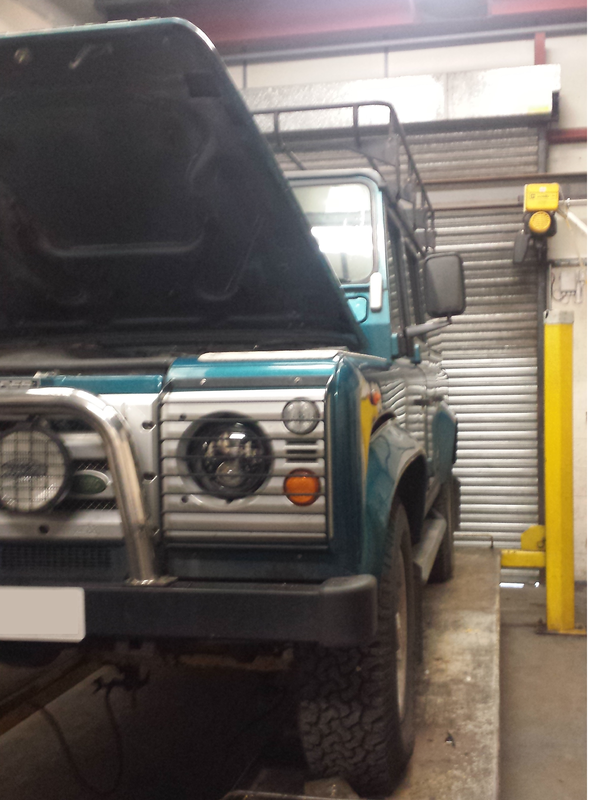 This defender has visited us for some years now, for various parts and accessories to be fitted. One day he decided to completely change its look! After having the vehicle re-sprayed in a maroon tough raptor coating. It was up to us to strip the interior down and prep it for the raptor coating in black. We also had a roof rack to fit complete with LED spot lighting. The finished vehicle surpassed the customers expectations, with smiles all around it was collected and driven off into the sunset! Before its respray. Arrived in a teal and silver. 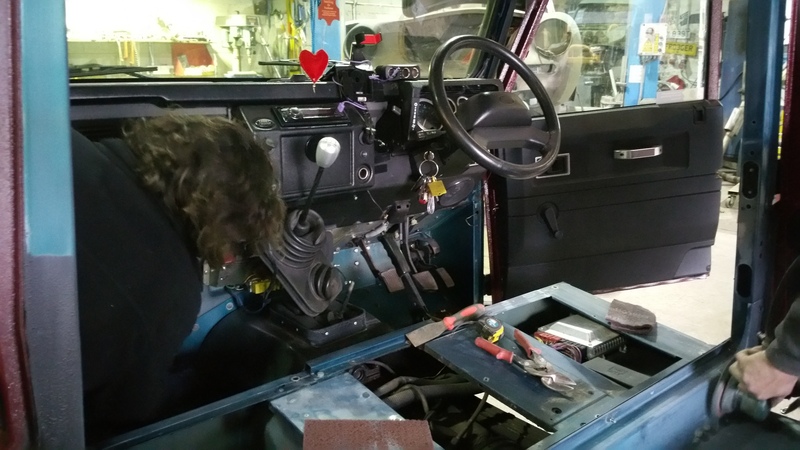 Working on the 110. Prepping the interior body for a coating of black raptor. 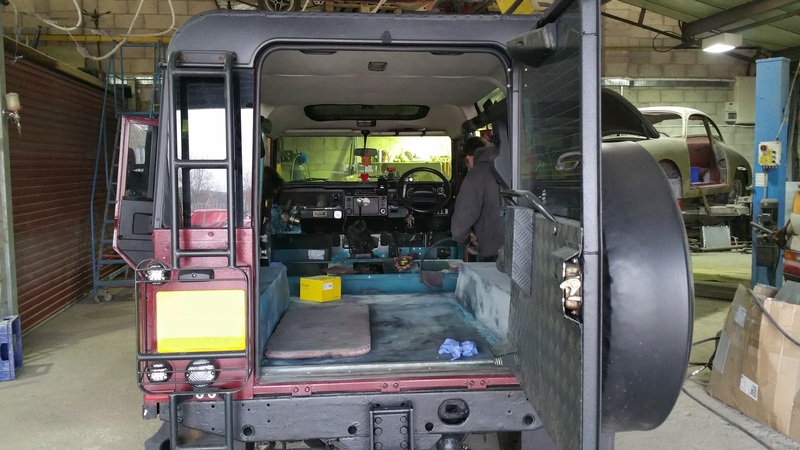 The 110 being stripped and prepped for its interior coating of raptor in black. Looking sharp! 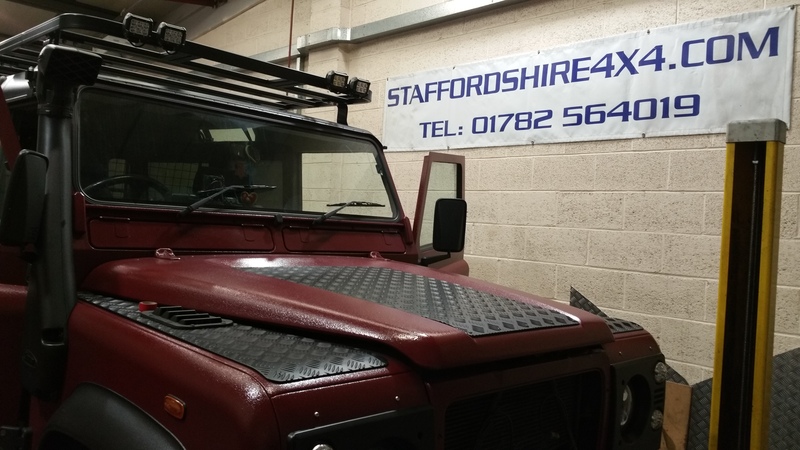 Defender 110 after its raptor coating and roof rack assembly! Looking sharp! Fresh tough raptor coating and roof rack assembly. 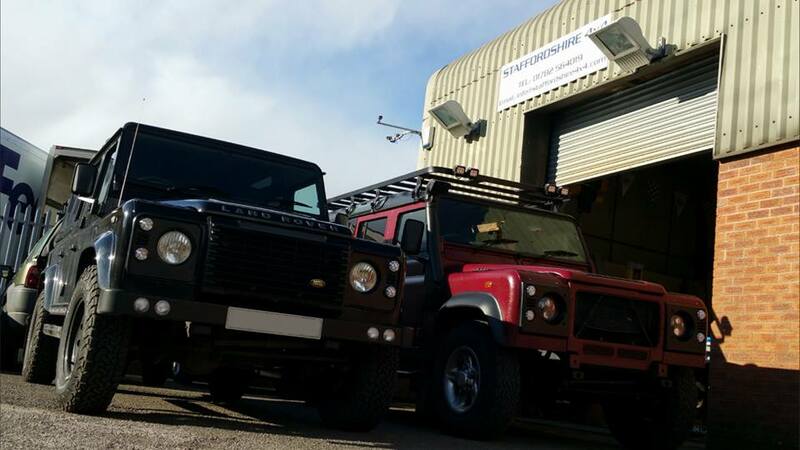 Two fine examples of Defenders all ready and waiting to go back to their owners!